If you hear a skyscraper maybe we have been used and very often found, but when I hear a sky scraper bridge which vehicles can pass above the clouds seemed to be a wonderful thing. 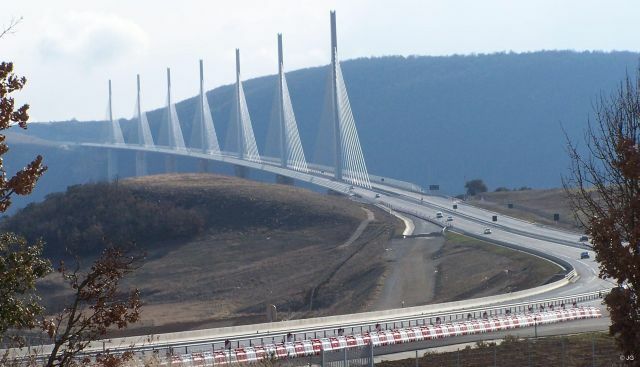 Le Viaduc de Millau Bridge is located in the south of France precisely in the area Millau, France Région Midi Pyrénées. 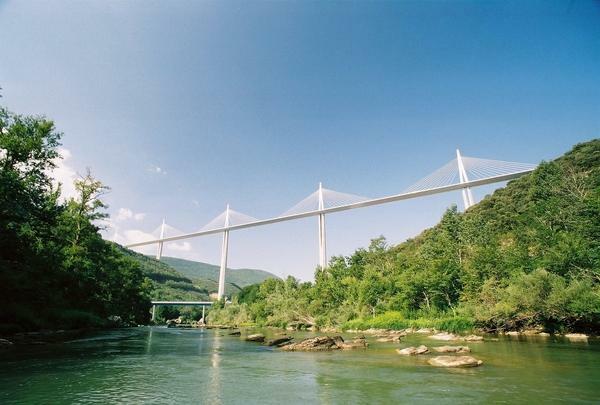 This bridge has a height of about 343 meters from the ground. If we compare with La Tour Eiffel tower located in downtown Paris, which has an altitude of about 300 meters, the bridge is higher. This bridge is tantamount to build seven towers of La Tour Eiffel at once because this bridge has seven pole / tower as the support of his strength. Designed by Michel Virlogeux and Norman Foster. 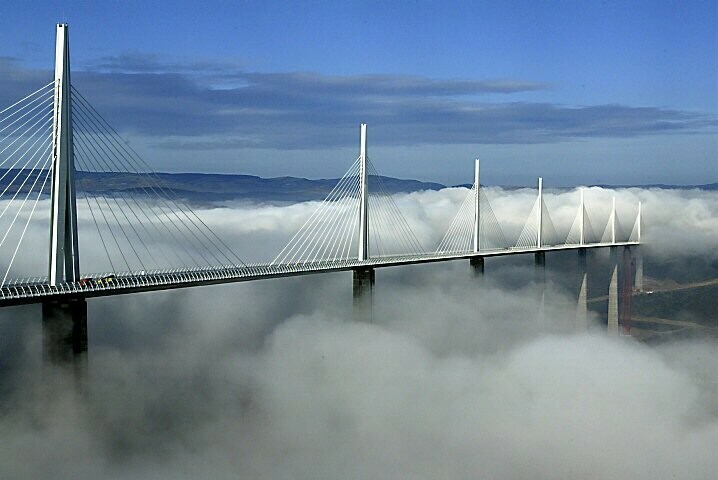 This bridge was built since 1975 and was launched on December 14, 2004, and is located in Millau, France. This bridge is also used for location filming "Mr.Bean 's Holiday".